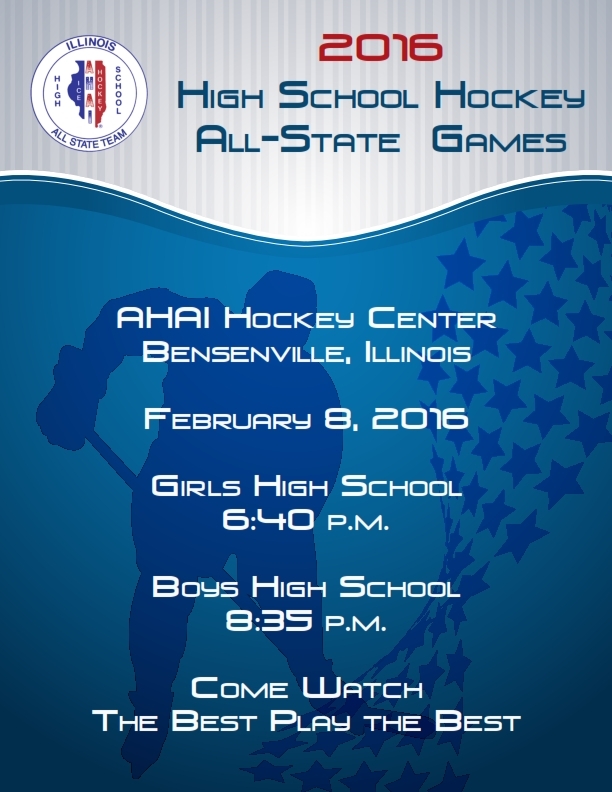 For the past 26 years, AHAI has been conducting a High School All-State game for the boys and girls varsity divisions statewide. This year will mark the 27th year of this very special event. The 2016 Boys High School All-State game and the Girls High School All-State game will be played on Monday, February 8, 2016 at the Edge Ice Arena in Bensenville, Illinois. The Girls game will start at 6:40 p.m. and the Boys’ game will begin at 8:35 p.m. We are also pleased to announce the inaugural Terry Stasica MVP Award given to one player from the Boys’ game and one player from the Girls’ game. Admission to the High School Hockey All-State Games is FREE. The players will be selected by the High School Varsity coaches throughout the State of Illinois. Mark your calendars now for you and your family to come watch the best play the best in both the girls and the boys divisions. ‹ Team Illinois U14 Bake Sale a Huge Success!